Very hard-wearing wiping cloth for various cleaning tasks. 23 cm wide, 2-ply perforated cleaning paper. 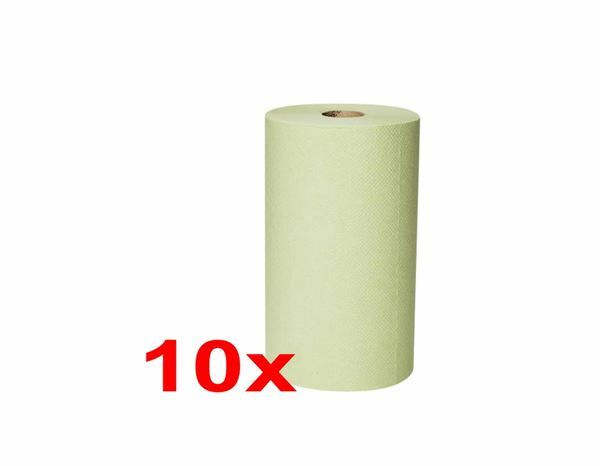 Highly absorbent in a pack of 10, 200 tear-off sheets of 28 cm length per roll. Small rolls are not suitable for floor stands and wall brackets.